As well as the regular webinars we run at 365 Talent Portal (see below for May’s webinars with Microsoft Corp), there are many regular Dynamics events and conferences run by Microsoft, Dynamics user groups, and some excellent third parties such as eXtreme365, usually at set times throughout in the year. So what’s in the calendar for Dynamics events 2018? We’ve pulled together a selection of the best Dynamics events happening this year. If you think we’ve overlooked one, please let us know and we’ll incorporate it. May is a very busy month – look what’s happening! THE event for developers, Microsoft Build is a great opportunity to learn about the newest technologies from a technical perspective. It’s held at Washington State Convention Center in Seattle and will have presentations from key Microsoft staff including Satya Nadella as well as luminaries in the development space. The full conference pass is $2,495 and provides access to all sessions, content, and the Expo Hall, plus all conference meals. If you can’t make it, go here and register so you can follow key sessions online. Microsoft provides some great financial incentives to help Dynamics partners win more business or grow project scope and seat count. 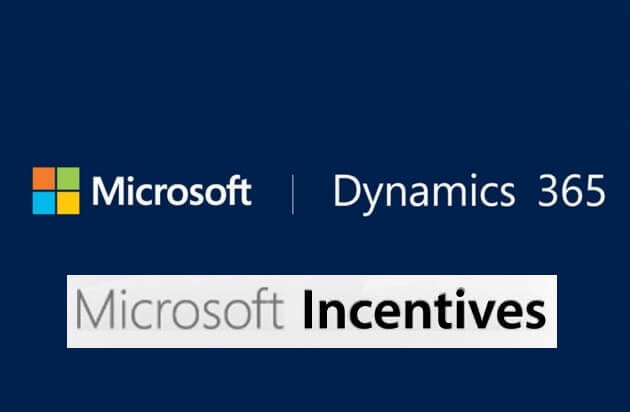 Is your organization using Microsoft Dynamics incentives effectively, or at all? This free webinar, presented by Johan Jonsson of Microsoft, will provide valuable insights for CEOs, COOs, commercial business leaders and sales leads who are responsible for deal closure or the bottom-line of their organizations. There is some more info, and you can register here. Run by the User Groups, and held at the JW Marriott, Indianapolis, Focus 2018 is the premier conference to attend for concentrated Power BI and Microsoft Dynamics 365, AX, CRM, and NAV. Focus is unlike other user group conferences because it’s about diving deeper into exclusive topics most pertinent for success in specific roles. There will be no general sessions – just two days’ worth of rolling up your sleeves and spending more time in targeted tracks. Each 90-minute session is taught by a technical expert featuring intermediate and advanced level content for all products, with additional beginner content for Power BI. Focus is separated into multiple two-day events covering specific products as follows: May 21-22: NAVUG and PUG, May 23-24: D365UG/AXUG and D365UG/CRMUG. Find out more here, and you can register here. How well do you find, hire, onboard and retain great staff? Are your customers any better at this than you are? 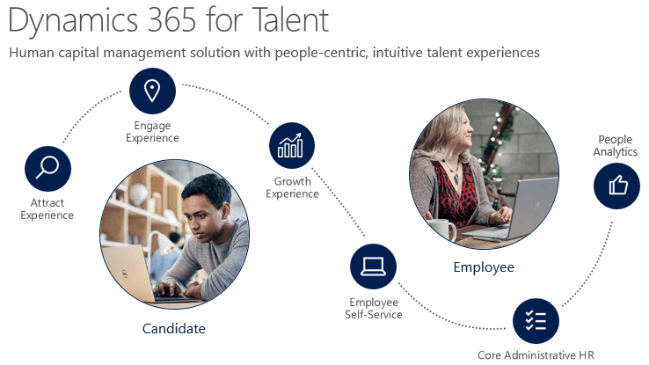 With Dynamics 365 for Talent, everyone can be an HR superstar! Join Microsoft’s Lydia Williams on May 23rd 2018 where Lydia will dive in to Microsoft Dynamics 365’s latest and greatest new application, Microsoft Dynamics 365 for Talent. We’ll be publishing registration details soon. Join Microsoft Partners and leaders, end users, and business leaders to network, discuss and learn more about the future of Dynamics GP. Formerly known as reIMAGINE, GPUG Amplify has gone international! This event in South Africa will provide an intimate opportunity for end users and partners to network and exchange knowledge with their peers, subject matter experts, and Microsoft resources on how to best maximize Microsoft Dynamics® GP performance and achieve unparalleled business results. Information and registration will be available on the GPUG Amplify website. Once it was the Worldwide Partner Conference (WPC) and is now called Microsoft Inspire. It is the biggest event in Microsoft’s calendar – more than 16000 Dynamics partners and professionals went in 2017, making this event an amazing opportunity for networking. It’s based at the Mandalay Bay Convention Center and T-Mobile Arena in Las Vegas. Share best practices, about product roadmaps for the upcoming year, experience the latest product innovations and collaborate with thousands of partners, Microsoft personnel and industry experts, as well as learn new skills and techniques. There are a huge range of sessions across all Microsoft technologies, as well as business leadership and how to grow into new business areas. See here for a taster of sessions and speakers already announced. For more information and on-demand sessions from this year’s conference, check the Microsoft Inspire website. Registration for the 2018 event in Las Vegas is open here – and there are various cut off dates for discounted rates. A new event for us, aimed at IT professionals, customer end users, analysts, solution architects, and knowledgeable experts, and covering Dynamics, Azure, Office, Microsoft 365, SQL, and Windows. In line with the ongoing convergence of Microsoft products, the Microsoft Business Applications Summit combines events including the Data Insights Summit, Convergence, and Dynamics 365 Technical Conference to bring together the best of all experiences, break down silos, and build community. The event has an optional pre-day (22) and two full days (23-24) of learning with over 120 breakout sessions and workshops at all levels to showcase how Microsoft’s end-to-end solutions can work for you. There is full information here and you can register here. Formerly known as reIMAGINE, the Microsoft Dynamics GP Partner conference, it was in 2017 divided into two separate events. The Dynamics GP Tech Conference is the event which is focussed on providing Dynamics Partners with educational content targeted at Dynamics GP Technical consultants and Developers. Held at the Executive Briefing Centre at Microsoft Fargo Campus – the birthplace of Microsoft Dynamics GP – GPTech18 is the only conference dedicated to the technical learning and educational opportunities of Microsoft Dynamics GP Partners. This event will include dedicated networking opportunities, the chance to hear the latest Dynamics GP developments, and more. For more information, please visit the Dynamics GP Tech Conference website. 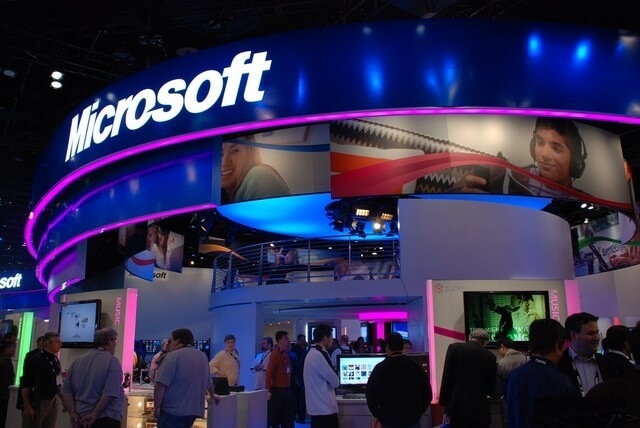 Microsoft Ignite is billed as the ultimate Tech conference. IT professionals and developers can meet with technicians from around the world, engineers that built the products you use every day, and Microsoft partners. Get the latest insights and skills from technology leaders and practitioners shaping the future of cloud, data, business intelligence, teamwork and productivity. Immerse yourself with the latest tools, tech, and experiences that matter, and hear the latest updates and ideas directly from the experts. 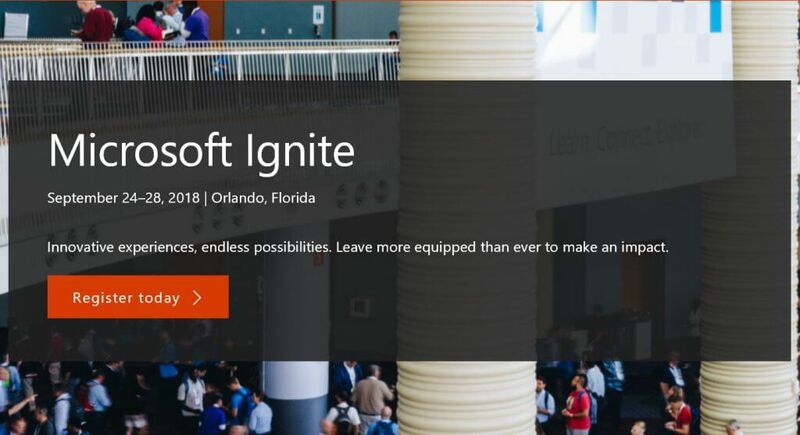 With over 700 sessions spread over five days, Microsoft Ignite will provide IT professionals with an in-depth coverage of key technology trends, as well as helping learn where Microsoft’s enterprise tech is headed, what partners are doing, and how you can move your company forward.. The conference will give you access to hands-on learning through digital labs, direct access to product experts, product demos and product strategies. More info here, and you can register here. Envision is a business focussed event which enables partner managers to engage with other executives, exchange groundbreaking ideas, and elevate your vision for your company with future-forward tech, insights, and products. 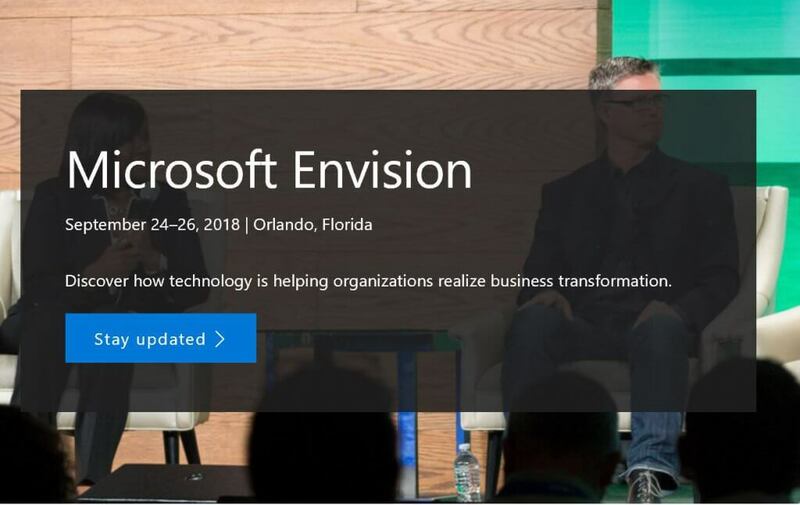 As part of their streamlining of various events, last December, Microsoft announced that Envision’s dates and location would move so it could become a part of Microsoft Ignite. The spirit of this change is to bring IT leaders and Business leaders closer together and to encourage a deeper synergy between the two. You can find out more here and sign-up for email updates on the Microsoft Envision website. The Directions North America conference is focussed on Business Central and Dynamics NAV. It is the Microsoft Dynamics event driven by Partners, for Partners. Designed to help organizations serving the SMB market, attendees can build new business contacts, learn about best practices, and discover valuable tools for execution and success. Attendees can also use the many networking opportunities at the conference to grow and enhance relationships with other partners, ISVs, service providers, and Microsoft. More information is at the Directions North America website and you can register here. 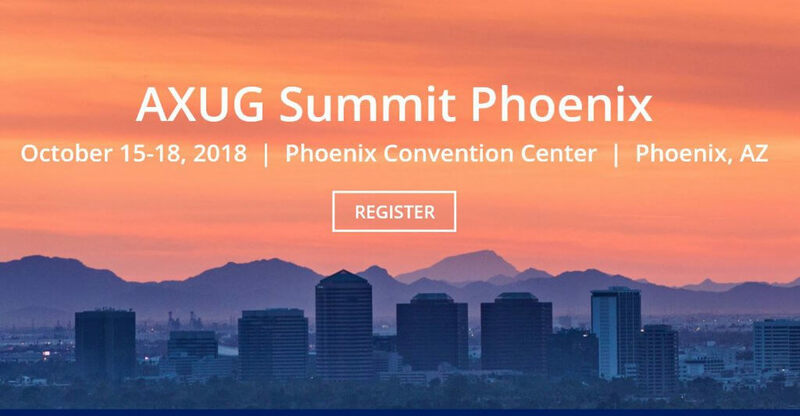 Summit is the can’t-miss conference for Microsoft Dynamics and is being held at the Phoenix Convention Center. Hosted by Dynamic Communities who run the various Dynamics User Groups, Summit offers Dynamics AX, CRM, NAV, GP and 365 users the chance to share ideas and knowledge, and to power real-life growth between peers and experts in a lively, engaged environment. Different streams cover Dynamics 365, Dynamics AX, Dynamics CRM, Dynamics NAV and Dynamics GP so there is something for everyone. Register here – $1099 advanced pricing discount ends on 28th June. Directions EMEA is aimed at SMBs and Business Central, Dynamics NAV and Dynamics CRM partners. Readiness to integrate CRM, ERP with Office 365, use the potential of Power BI, Power Apps and Flow within the centralized ecosystem has become the main goal for partner companies. That is why instant access to first-hand knowledge about the Microsoft Dynamics roadmap, partner collaboration and constructive communication with Microsoft have never been so important. Directions EMEA is aimed at supporting Partners in the business decisions they have to make and learning challenges they have to embrace. By integrating Dynamics Partners from various channels, the conference is to empower the Dynamics Community to reap the benefits of product innovations and build its unbeatable competitive advantage on the SMB market. Super Early Bird registration is priced at €945 and lasts until May 5th, Early Bird till Sept 2 at €1095 – for more information, check the Directions EMEA website. eXtreme365 is run by senior ex-Microsoft staffers, and has been going from strength to strength. The eXtreme365 event aims to help the Dynamics partners community expand their Microsoft Dynamics channel capacity and success. It is where the Microsoft Dynamics 365 community comes together to forge relationships, gain real-world knowledge and dive deep into current and future technologies and is essential for any partner starting or growing a Dynamics 365 practice. The event usually comes with an impressive array of keynote speakers. The Microsoft Dynamics User Groups Summit in Dublin was a great success or networking, peer-to-peer knowledge exchanges, product insight forums and more in a lively, engaged environment. It covered focussed streams for the specialist User Groups of D365UG/AXUG, D365UG/CRMUG. GPUG, and NAVUG. Perfectly tuned for users, managers and developers alike, Summit caters for all versions of the Dynamics product suite. View sessions and get the downloads here here and join the mailing list for Summit 2019. At 365 Talent Portal, we provide all sorts of useful Microsoft Dynamics resources, access to online Dynamics training, Dynamics events, news and information, to the Microsoft partner, end user and consultants community. If you’d like us to keep you automatically up to date with information tailored specially for you, please register with us using this button.